Werther as the character of most famous suicidal poet is probably known by everyone who have read Goethe’s novel Die Leiden des jungen Werther (The Sorrows of Young Werther) in their youth, for most of us – as part of compulsory program in foreign literature class. 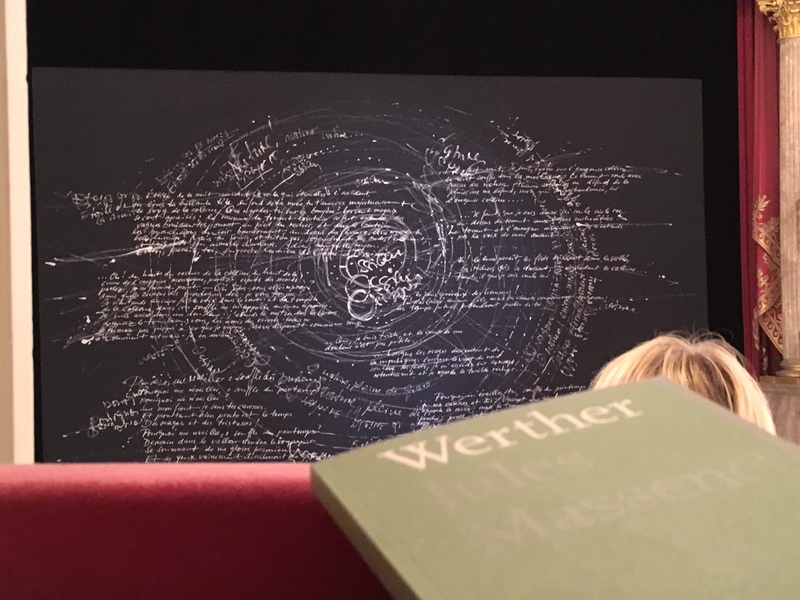 Even if many years have passed since graduation, the melancholy and despair of Werther is easy to recall, while story of his beloved Charlotte usually slips away into shadows. 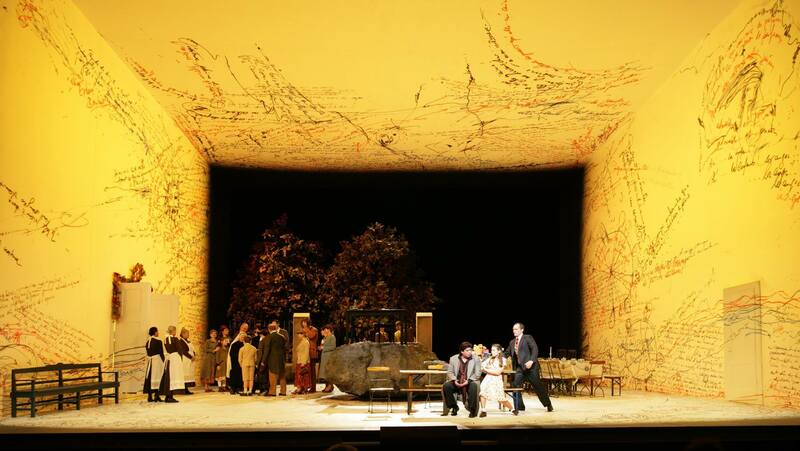 As of opera by Jules Massenet, one of the greatest examples of Grand Opera, packed with sorrow and suffering, two main protagonists – Werther and Charlotte take equal centerstage. The production by Jürgen Rose at Bavarian State Opera runs since 2006, has seen various casts, including brilliant stars and divas, and despite relatively long time on the stage it still delivers fresh and engaging environment for human emotions surrounded by beautiful music by Massenet The contracts between grey, rough rock taking center-stage as inner world of solitude and suffering of young Werther contrasts with sunny yellow walls and children’s laughter and happiness. Yet Charlotte so tender and romantic grows and changes, and regardless of common sense and promise to her late mother, she turns into grown up and passionate woman. Matthew Polenzani as Werther delivered stable, convincing performance with emotionally charged and convincing acting. His interpretation of titular hero brought us both obsessive and manic depressive tendencies of young poet, as well as depth of his suffering and inescapable destiny by taking his own life. Polenzani might not have the largest of lyrical tenor voices heard in Munich, nevertheless, he did produce impressive sound at top notes, as well as mezzo voce dramatism where required. Angela Brower as Charlotte created multifaceted character, which had overflowing joy and lyricism in the Act 1, which gradually turned into internal silent despair when realization of unresolvable challenge strucks her. Her love is impossible, as impossible it is for Werther. Angela Brower excels in the last act, filling it with strength and vocal maturity of seasoned artist. Christoph Stephinger as Amtmann was delivering his part with mastery, polished over numerous performances. He has very pleasant, warm tone, and plays his role with skill and enthusiasm. Even if Albert’s role is relatively small, Michael Nagy created interesting interpretation of the character dramatically, pointing out some despotic tendencies, and dramatic revelation of his wife’s affection to Werther. Overall. this was one of visually engaging and interesting productions of Werther, with well aligned and balanced cast. The audience enthusiastically applauded to the cast and asked them for repeated, well-earned curtain calls. 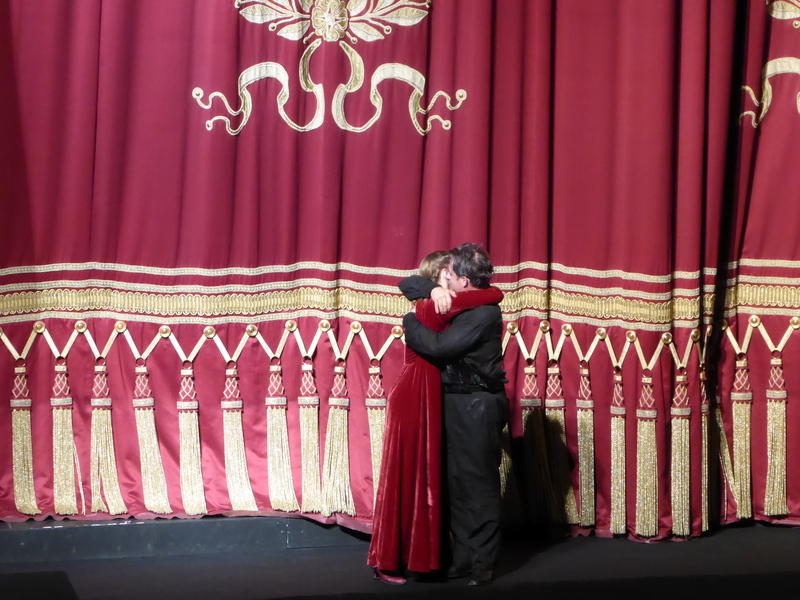 If you have not seen good production of Werther with staging that complements great music, this one might be worth to invest your time to see it at Bayerisches Staatsoper.